A unique mystic journey to unknown places. 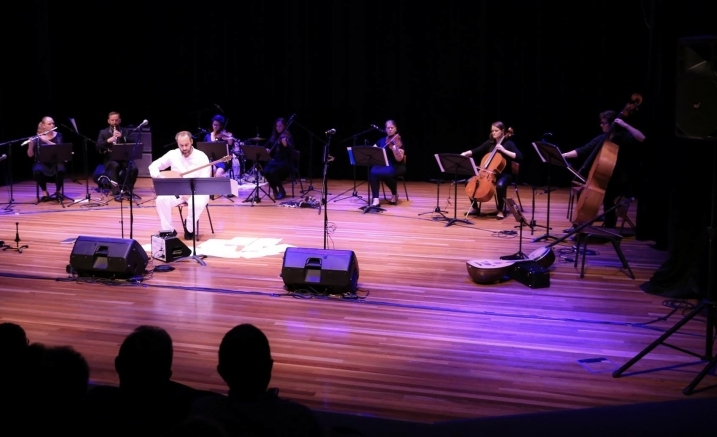 The project Earth & Water skilfully combines western classical music instruments such as violin, viola, cello, double bass, oboe, flute, soprano saxophone and the mystic instruments of Anatolia such as baglama, yayli tambur, mizrapli tambur, kabak kemane, balaban, kaval and zurna. Repertoire composed by Iskender Ozan Toprak takes the audience on a unique mystic journey to unknown places.